Free 2-DAY Shipping ~ THREE-YEAR Warranty ~ UPGRADED! 3-YEAR WARRANTY INCLUDED ~ FAST SHIPPING ~ GREAT VALUE! 3-YEAR WARRANTY INCLUDED ~ FAST SHIPPING ~ BEST VALUE! Model: Mac Mini A1347. Storage Size: 500GB. AC power cord NOT included. No accessories are included unless otherwise specified (AC adapter, Battery, Stylus Etc.). They will have few or no marks or scratches on the exterior. The internal components are tested to function perfectly. They will have minor scratches, minor dents and wear on the exterior. D Grade: These D Grade or "acceptable" quality machines will have scratches and dents on the exterior. 3-YEAR WARRANTY INCLUDED ~ FREE SHIPPING ~ GREAT VALUE! THREE-YEAR Warranty ~ ABSOLUTE BEST VALUE ~ SHIPS FAST! 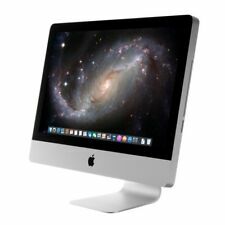 Apple iMac 27" Core i7-870 Quad-Core 2.93GHz All-in-One Computer - Refurbished. 1 Terabyte (1TB) 7200RPM SATA hard drive. Apple iMac 27" All-in-One Computer. 16GB DDR3 RAM. Model: iMac A1312. AMAZING deal from a Reputable vendor. 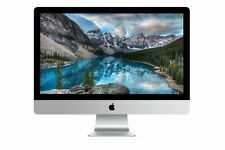 ULTRA Apple iMac 27" Mac Desktop / 2.7GHz QUAD Core i5 / 16GB RAM / 1TB SSD HYB! 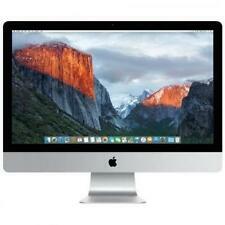 4.5 out of 5 stars - ULTRA Apple iMac 27" Mac Desktop / 2.7GHz QUAD Core i5 / 16GB RAM / 1TB SSD HYB! 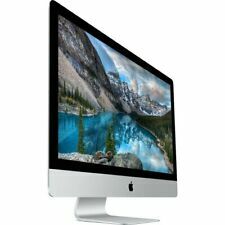 27 product ratings27 product ratings - ULTRA Apple iMac 27" Mac Desktop / 2.7GHz QUAD Core i5 / 16GB RAM / 1TB SSD HYB! 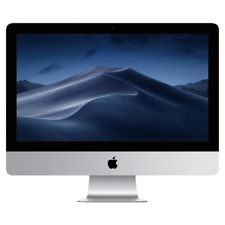 This refurbished Apple Mac mini Desktop can be an excellent example of the easy to use functionality and high level of quality that Apple products are known for. This model is also an excellent example of durability, reliability, and connectivity. Trending at $259.00eBay determines this price through a machine learned model of the product's sale prices within the last 90 days. Loaded (personally used and gently cared for) Apple iMac 21.5”, 4K, 512 SSD, 32GB RAM, 4GB VRAM (2017). Condition is Used — Excellent. Radeon Pro 555 with 2GB of VRAM. Radeon Pro 560 with 4GB of VRAM. 🍎🍎 APPLE MAC MINI A1347 MGEN2LL/A CORE I5-4278U 2.6GHZ 8GB RAM 1TB HDD /// WI-FI /// HIGH SIERRA O XS. TESTED FOR KEY FUNCTIONS. HIGH SIERRA 10.13 OS X INSTALLED POWER CORD INCLUDED ( BLACK) SEE PICTURES FOR MORE DETAILS. Up for sale very nice and clean Apple Mac mini A1347. Late 2014 model. The cases are in good shape with only a few minor scrapes and scuffs from previous use. We do not further warrant in any way the functionality or performance of any item. We have small and large quantity lots available. Power cable included. S.N. C02NVDPCF8J2. Trending at $456.66eBay determines this price through a machine learned model of the product's sale prices within the last 90 days. Connectivity includes a Firewire "800" port, four USB 3.0 ports, HDMI, Thunderbolt, combined "audio line in (digital/analog)" and combined "audio line out/headphone (digital/analog)" minijacks, a 10/100/1000Base-T Gigabit Ethernet port, 802.11a/b/g/n Wi-Fi, Bluetooth 4.0, and an SDXC card slot. Connectivity includes two Thunderbolt 2 ports, four USB 3.0 ports, an HDMI port, Gigabit Ethernet, 802.11ac Wi-Fi (802.11a/b/g/n compatible), and Bluetooth 4.0 as well as an SDXC card slot. Model: Mac Mini A1347. Storage Size: 500GB. No accessories are included unless otherwise specified (AC adapter, Battery, Stylus Etc.). Includes: Genuine Apple Keyboard, Power cord. This Mac Pro is in fairly good condition (with the usual scuffs.). It is s 2.8 quad core machine with bluetooth and airport cards. The hard drives are: 640GB, and 250GB, with 8 GB of RAM. The video card has 1024MB of VRAM. Mac mini 2012. Start-up disk: OSX. Year-Mid 2011. OS-MacOS High Sierra. Trending at $467.10eBay determines this price through a machine learned model of the product's sale prices within the last 90 days. 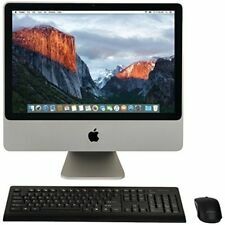 Apple iMac 21.5" 2009 (iMac 10.2). HDD: 500GB. RAM: 4GB DDR3. What's included Model Number:MB950LL/A. All orders to PO Box, AK, HI, MP and etc will be canceled! FREE SHIPPING ~ 3-YEAR WARRANTY ~ AMAZING VALUE DEAL! 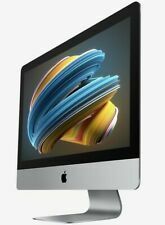 Powerhouse iMac featuringFactory Upgraded NVIDIA GeForce GTX 2GB GFX and 3TB Fusion PCIe-Based Flash Storage ,WHOPPING 3TB Apple SSD FUSION drive! Enough STORAGE and. TOP-END Late 2013-2015 model 27" Razor Apple iMac 3.5 up to 3.9GHz Quad Core i7 3TB Fusion Drive 32GB Apple RAM NVIDIA GeForce GTX 2GB GFX! (with free batteries). Both keyboard and mouse are synced and ready to use. Mouse model: A1296. 3-YEAR WARRANTY INCLUDED ~ RADEON GPU ~ UPGRADED SPECS! 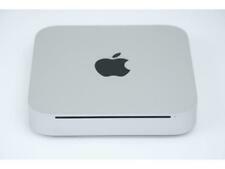 Up for sale Apple Mac mini A1347 -. The cases are in good shape with only a few minor scrapes and scuffs from previous use. We do not further warrant in any way the functionality or performance of any item. Apple Mac Mini (Late 2014) MGEM2LL/A Core i5 1.4ghz 4GB 500GB. 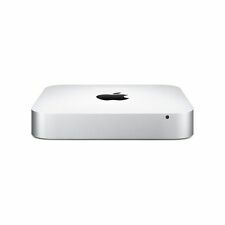 What's Included:-Mac Mini Unit. Unit ONLY. Power cable NOT included. Each unit has been individually tested, erased, and new software installed. Trending at $302.30eBay determines this price through a machine learned model of the product's sale prices within the last 90 days. THREE-YEAR Warranty! - 100 SOLD! - AMD Radeon Graphics! New ListingApple A1347 Late 2012 Mac Mini Core i5 @ 2.5GHZ/16GB RAM/512GB SSD/Mojave! 512GB Solid State Drive - Excellent Performance! Mojave installed. New Non-OEM Wireless keyboard and mouse included. Apple A1347 Late 2012 Mac Mini Core i5 @ 2.5GHZ/16GB RAM/512GB SSD/Mojave! A desktop or all-in-one computer may be a great option for your home or office. If you dont need the mobility of a laptop, a desktop allows you to hook up everything for your online and offline computing and printing needs in one convenient location. A desktop system often includes larger processors, more RAM, and better display monitors than a laptop. What features do desktop computers have? Stationary setups on a table or desk usually include a larger monitor than a laptop or handheld device. A big, Retina Display helps you view and easily use different applications simultaneously for increased productivity. Desktop systems include speedy Intel processors, excellent graphics cards, and ample internal media storage drives that are all ready to go right out of the box. If you like to play games, edit videos, or process raw photos, then youll appreciate these powerful advantages. If you already own other Apple devices such as an iPhone, iPad, or a laptop like the MacBook, its a relatively simple process to get all your gear synced and working together with your new computer station. These systems also allow you to easily hook up accessories such as an HP printer, SuperDrive, additional Retina 4K or 5K monitors, or any other components you like without constantly fiddling with power cords and cable connections. What are the advantages of buying an Apple all-in-one desktop? With an all-in-one desktop computer, both the monitor and the processing hardware are included in a single, enclosed unit. The computer may be housed directly behind the display monitor or located in the base of the unit. All-in-one units are pretty much plug-and-play ready. Just attach a mouse and keyboard, and connect the monitor/computer unit to a power source, and your workstation is ready to go. 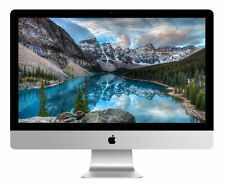 Which Apple desktop or all-in-one models are available? iMac  The Apple iMac is both a desktop and an all-in-one machine so the monitor, Intel processor, and other internal components are all housed in the same unit. Later models include large Retina screens up to 27 inches, an Intel multicore processor, Thunderbolt ports, and a 1TB or larger hard drive. 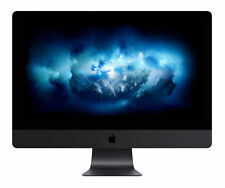 iMac Pro  This new Apple iMac Pro is a high-performance addition to the iMac product line. It includes extreme Intel core processing power along with enhanced graphics capabilities. 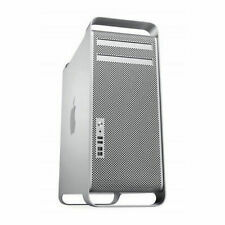 Mac Pro  The Mac Pro is a powerful stand-alone unit the company builds that is intended for heavy-duty processing. Mac Mini  The Mac Mini offers a fast Intel core, solid graphics, and a small footprint.